BMI is determined by your weight in kg divided by your (height in metres)2. BMI estimates whether you are underweight, healthy weight, overweight or obese, based on your height and weight. Doctors, dietitians and other health professionals use BMI as an indication of your risk of chronic disease. It is designed for men and women over the age of 18 and should not be used by pregnant women. You are under optimum weight for your height. Being underweight can carry health risks for both men and women. Check with your doctor or dietitian to find out if your current weight is healthy for you. You have a healthy weight for your height. Find out how to maintain a healthy weight. You may also want to check your waist measurement - this is another measure doctors use to determine your risk of developing chronic disease. Why is a healthy BMI important? You are over optimum weight for your height. 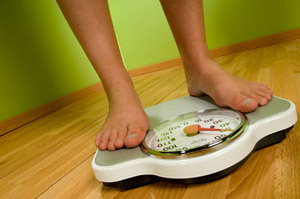 You may be facing health problems, so losing some weight would be a good idea. Find out how to achieve and maintain a healthy weight. Read obesity and overweight to find out what you can do. Check your waist measurement too - this is another measure doctors use to determine risk of developing chronic disease. You would need to lose kg to be in the 'healthy weight' category. The good news is that even losing a modest amount of weight (5 to 10 per cent of body weight) can help reduce your risk of some of these health problems and improve your health. You are over optimum weight for your height. You may be facing health risks, so see your doctor to help you achieve a healthier weight. Read obesity and overweight to find out what you can do. BMI does not distinguish between weight due to muscle and weight due to fat, so it does not take into account differences in body composition. An elite sportsperson may have a high muscle mass, and a BMI above 25, but not be carrying excess body fat. Your doctor can advise you whether you are truly underweight or overweight. BMI measures may not be suitable for all population groups. Aboriginal people. Lower BMI cut-offs may be considered for Aboriginal people, whose healthy BMI range may be different from that for people of European descent. This is due to their relatively long legs in relation to weight, which is a factor known to influence BMI. Pacific Islanders. For Pacific Islanders, including Maori and Torres Strait Islanders, higher BMI cut-off values may be considered. Always check with your doctor if you are concerned about your weight. 1. Overweight and obesity [revised October 2012]. In: eTG complete. Melbourne: Therapeutic Guidelines Limited; 2015 Mar. Available at: http://www.tg.org.au (accessed May 2015). 2. Australian Government; National Health and Medical Research Council (NHMRC). Clinical practice guidelines for the management of overweight and obesity in adults, adolescents and children in Australia, 2013. Melbourne: NHMRC. http://www.nhmrc.gov.au/guidelines/publications/n57 (accessed Jun 2015).